What the Hell is a Manic Impressive™? You ever watch the show Community? My guilty pleasure because of the brilliant writing and the fact that I dropped out of more community colleges than anyone you know. The show’s off the right air now but it’s coming back in two weeks as a Yahoo online production. 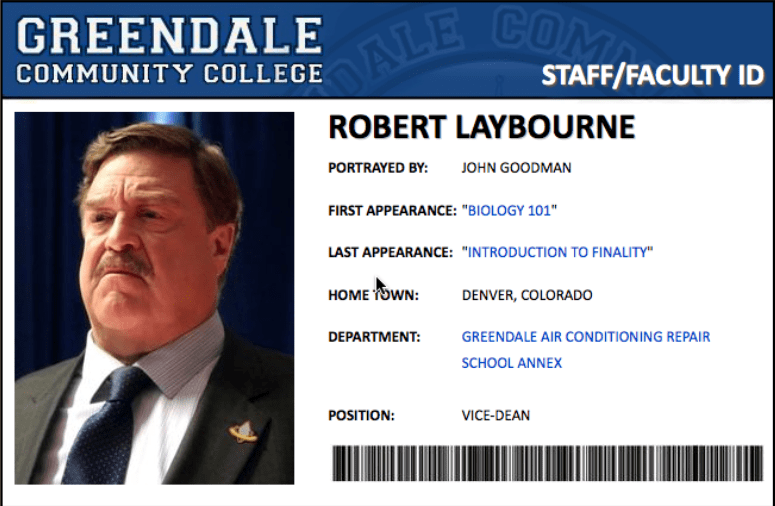 In the episode “Digital Exploration of Interior Design” (Season 3 Episode 13), John Goodman plays Vice Dean Robert Laybourne, the head of Greendale College’s air conditioning repair school. In a pivotal scene, he drives a wedge between friends Abed and Troy (Dani Pudi and Donald Glover), in his never-ending quest to get Troy, an HVAC savant, to enroll in the air conditioning school. Holy crap that’s deep, the advice for Manics in there. When we allow the judgement of others, especially the “Unremarkables” to prevent us from producing our creativity, it’s like allowing parasites to consume and destroy us. Fight the judgement of the Unremarkables, all you Manics out there. They are not qualified to judge you. Accept their scorn, their ridicule and their “tsk tsk” denouncement as a sign that you are on the right track. You are about to challenge the status quo, to go further and deeper than those around you in defining what is possible. Notify me whenever you post something new! To get new posts delivered to your inbox, please subscribe! 100% spam and gluten free.